Clinic Synopsis: This clinic was conceived to help music education students, along with young band and orchestra directors, as they begin their job search. The ideas presented are practical in nature and revolve around "real world" situations that confront young candidates during their quest for not only obtaining a job, but retaining it. With many years in music education, Horn will offer a road map (from an insider's perspective) for the ever important journey of seeking employment. Clinician Biographical Information Raeleen Horn was the Music Department Chair and Director of Bands at Palatine High School in Palatine, Illinois for 33 years. She is currently retired. Under Miss Horn's direction, Palatine High School Bands have performed extensively throughout the United States and abroad. Many professional musicians along with television and radio personalities have appeared in concert with the PHS Symphonic Band. Miss Horn is active as an adjudicator, conductor and motivational speaker. 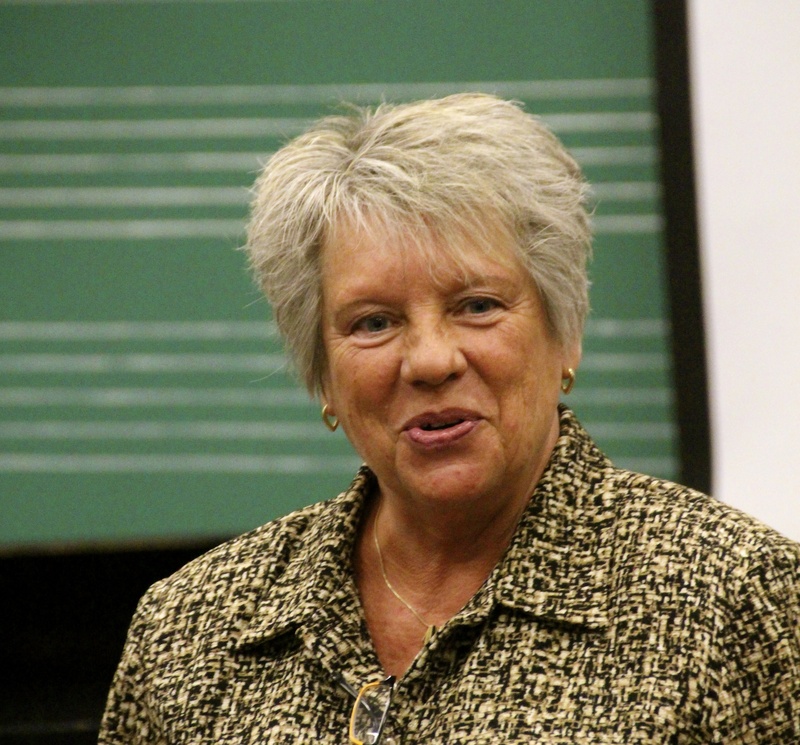 Her master class presentations, "The Realities of Teaching - Critical Factors for Success," are geared toward enlightening music education students at the college level. She has spoken at a host of universities across the nation along with presenting collegiate sessions at the Iowa Bandmasters Conference and the Indiana Music Education Association Professional Development Conference. Miss Horn received her Bachelor of Music Education degree from Northern Illinois University and her Master of Music degree from Northwestern University where she studied conducting with Director of Bands, John P. Paynter. She is a member of the American School Band Director’s Association, National Band Association, Women Band Directors International, Phi Beta Mu and NAfME. She is a State and North Central Regional winner of the American School Band Director's Association Stanbury Award and received "Outstanding Bandmaster of the Year" from the Phi Beta Mu International Bandmasters Fraternity. To visit Miss Horn's website: https://www.raeleenhorn.com.